to Control Panel and go to System and Security. 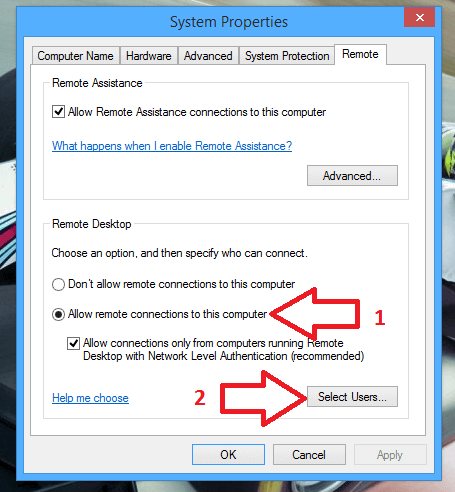 Towards the middle of the screen you will see the option to allow remote access to your computer. Click this radio button to enable it. When you do this, a details pane will open. you use your Microsoft ID to log into your Windows PC, that too will be enabled by default and will be your credentials to Remote Desktop to your PC. When you are done you can close Control Panel on your Windows PC. 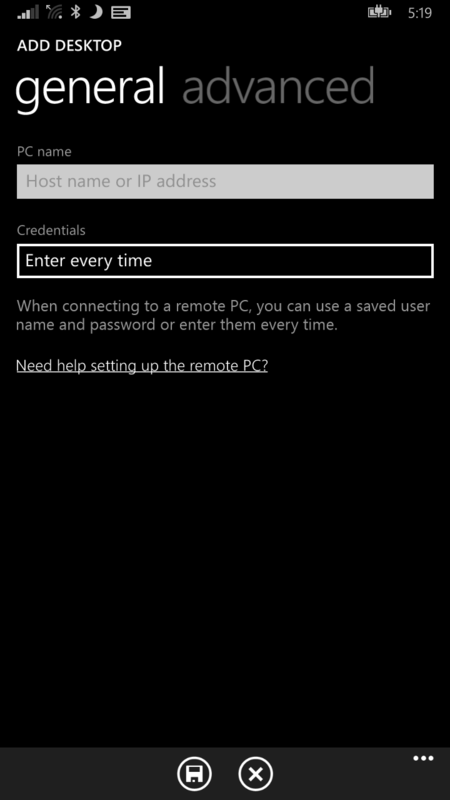 The configuration of your Windows Phone for Remote Desktop is super easy as it is all driven from the Remote Desktop app. That app is free. the same network this is generally just the computer name or if you are on a domain it is computer.domain.com. Again, if you are doing this from within your work network, ask your administrator for help. Once you have a PC added you will see it in the list of computers that you have configured. Tap it to bring up the login credentials page. Here you put in your username and password to access your Windows PC. This will be either your default login for your PC (which could be your Microsoft account) and password or it will be the user you have granted access to do a remote desktop session on your PC. Once the credentials are entered, tap connect to connect to your Windows PC. At this point you should see your Windows PC on your Windows Phone. You can tap the keyboard at the top of the screen to bring up the keyboard along with other keyboard commands such as the Windows button so you can easily navigate around on your PC from your Windows Phone. 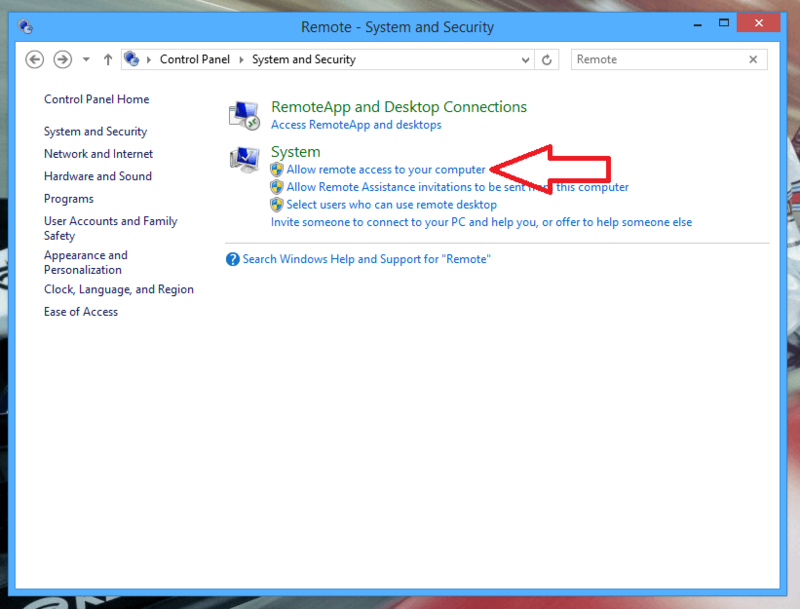 When you are done simply close the Remote Desktop app on your Windows Phone and the connection to your PC will be terminated. I can’t stress enough that in order to do this How To you will need to have some basic working knowledge of computer networks. 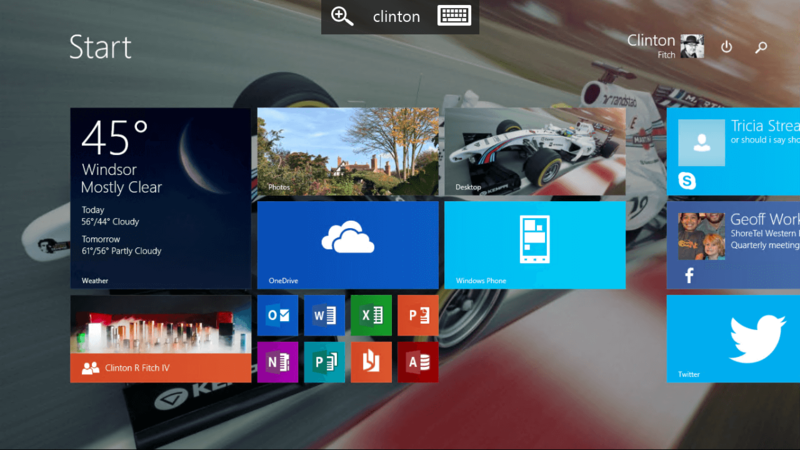 While the Remote Desktop app for Windows Phone does make it very easy, it is the initial configuration of your PC that catches people out. Also, if you are accessing your PC remotely, your ISP or work network may not allow that to happen through their firewalls and other security mechanisms. For more How To’s for Windows and Windows Phone, be sure to check out my How To pages. Have a How To suggestion? Let me know using the Contact page. If I post it I will be sure to give you the credit.